Gainesville, VA – May 26, 2015 – Accomplished serial entrepreneur and Best-Selling Author® Matt Curry is proud of the success of his new book, The A.D.D. Entrepreneur: How To Harness Your Superpowers To Create A Kickass Company. The new book recently reached the prestigious Wall Street Journal best-seller list, ranking #8 in the “Non Fiction eBook” category. Officially released on April 30, 2015 by leading book publishing company, CelebrityPress®, The A.D.D. Entrepreneur also reached best-seller status in nine separate Amazon.com categories. Matt Curry is a successful entrepreneur with A.D.D. In this book, he takes time to explore myths and truths of his A.D.D. experience. Matt has adopted the posture that, for him, A.D.D. is not a negative. In fact, he has embraced it. "I've channeled my A.D.D. onto a positive track and used it to build businesses that have not only made a lot of money but have also made a lot of money for other people and made their lives better,” remarked Matt. “And that's what this book is all about: how my off-the-wall A.D.D. tendencies inspired me to create and execute a set of proven principles for growing a successful business." 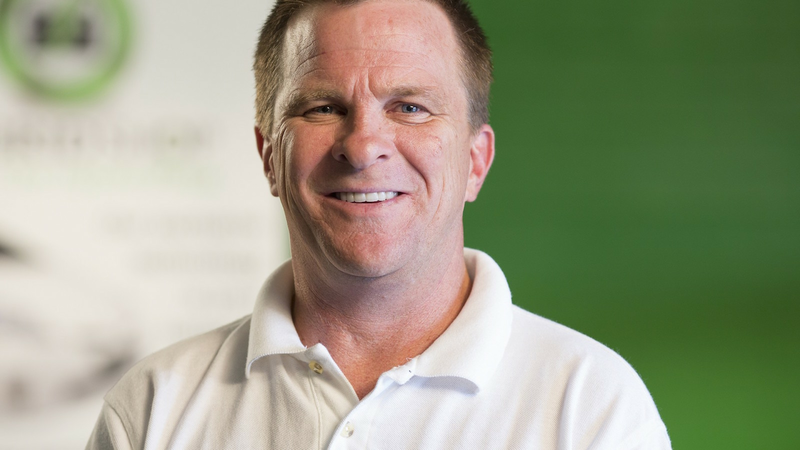 Matt Curry has worked in the automotive aftermarket business for over 30 years. He started changing tires when he was 15 and worked his way into management, overseeing seven automotive stores for several different companies, doubling and tripling sales and profits at every store he managed. In 1997, Matt and his wife, Judy Curry, started Curry’s Auto Service with one shop in Chantilly, Virginia. Curry’s Auto Service ultimately became one of the largest independent auto repair chains in the Washington, DC metro area, with nine shops across Northern Virginia and one in Maryland. Matt and Judy succeeded in differentiating Curry’s from its competitors by offering strong value propositions that highlighted under-represented demographics within the auto repair industry. By instituting prominent eco- friendly, green-focused programs and community outreach, and earning female-friendly accreditation from AskPatty.com, Curry’s actively contributed to the economic, social, and environmental development of the communities in which it operated. In 2010, Curry’s was chosen by the readers of Northern Virginia Magazine as the “Best Auto Repair Shop” in Northern Virginia. That same year, Curry’s was named Motor Age magazine’s #1 Auto Repair Shop in North America. In 2011, the company was awarded the prestigious Angie’s List Super Service Award and voted Top Shop Finalist by Tire Review magazine. Matt was also recognized as a “Home Grown Hero, Entrepreneur of the Year” by The Network for Teaching Entrepreneurship. During the recession in 2008 and through 2011, Matt launched a major expansion, growing from four stores in 2008 to nine in 2011. In recognition of this growth, Curry’s was named to the Inc. 5000 list for 2009, 2010 and 2011, moving up about 1000 spots each year. Curry’s opened its tenth store in March 2013. In addition to being an Inc. 5000 company for three consecutive years, Curry’s was ranked the 126th fastest-growing business in Consumer Products and Services Industries by Inc. last year. Curry’s was also recognized as one of the 50 fastest-growing companies in the DC region by both the Washington Business Journal and Washington Smart CEO. In early 2013, Matt expanded his business model, investing in two vertical companies: a computer development company and a technology company called The Hybrid Shop, which specializes in HEV and electric vehicle propulsion systems. Matt and Judy made a successful exit from Curry’s Auto Service by selling to a publicly-traded, $1 billion corporation in August 2013. In 2004, Matt raised $209,000 and launched the Dulles South Youth Sports (DSYS) league in August of 2006. More than 1,600 area children and teens now participate in the DSYS leagues each year. The Currys continue to advise the organization and help fund DSYS needs, including starting a scholarship and field fund in the hope that DSYS will have its own private playing field someday. In 2012, Curry’s Auto Service was a finalist for the Washington Area Jefferson Awards for Public Service. Matt and Judy have donated their time and money, totaling over $500,000 to 57 national and regional charitable groups, churches, parent- teacher associations, and youth athletic clubs since they started their company in 1997 and were recognized by The Washington Business Journal in 2012 as among the region’s Top 50 Corporate Philanthropists.